As part of JUST Capital’s Rankings on Corporate Tax Reform, we are continuing to track announcements from Russell 1000 companies on how they intend to distribute their tax windfall. On a regular basis, we update our rankings to create a current portrait of corporate decision-making around this critical issue. Please see our archive below for a window into how savings are being allocated ongoing. As of December 10, 2018, 145 companies in the Russell 1000 have announced how they plan to distribute their tax savings. Great Plains Energy and Westar are now combined to form Evergy. 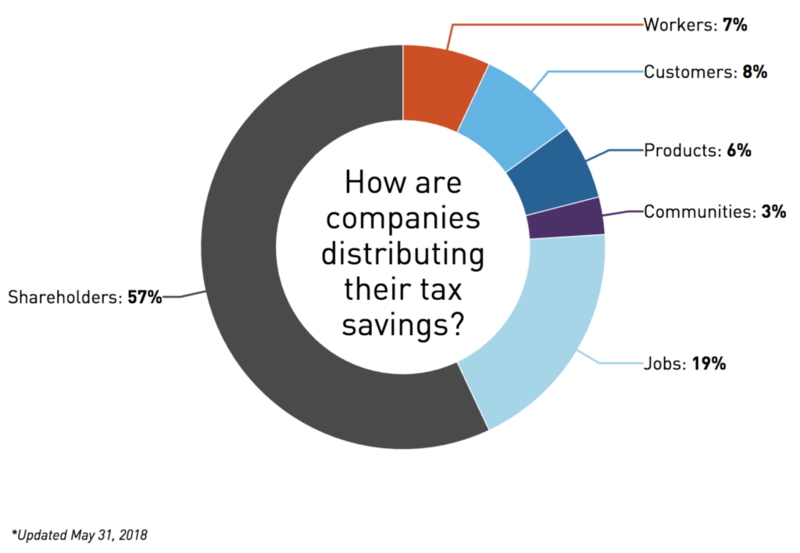 As of July 23, 2018, 138 companies in the Russell 1000 have announced how they plan to distribute their tax savings. As of May 31, 2018, 137 companies in the Russell 1000 have announced how they plan to distribute their tax savings. 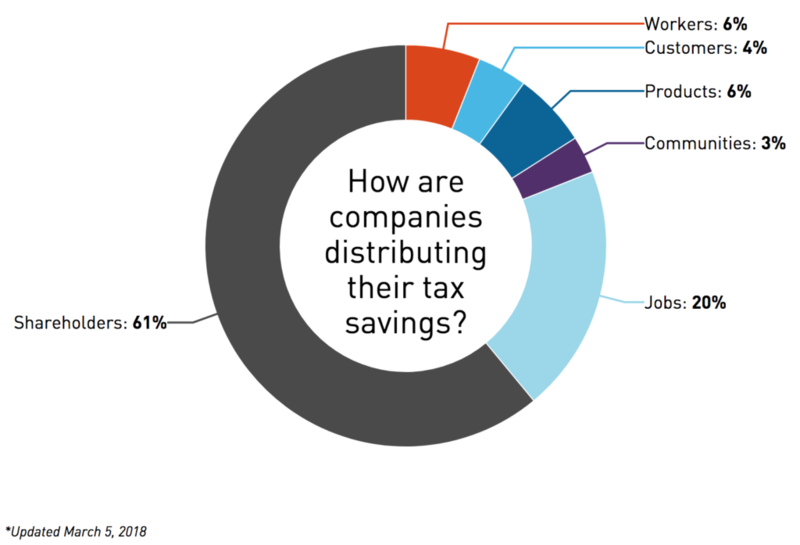 As of April 9, 2018, 133 companies in the Russell 1000 have announced how they plan to distribute their tax savings. As of March 19, 2018, 121 companies in the Russell 1000 have announced how they plan to distribute their tax savings. 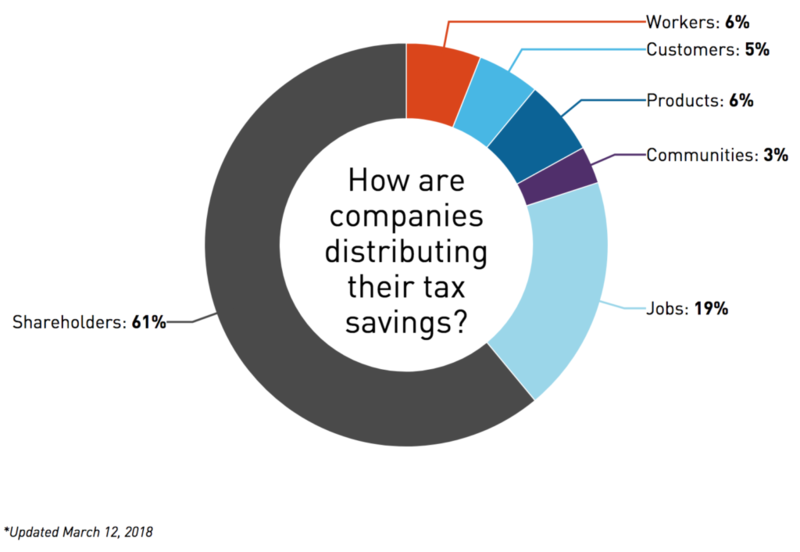 As of March 12, 2018, 117 companies in the Russell 1000 have announced how they plan to distribute their tax savings. 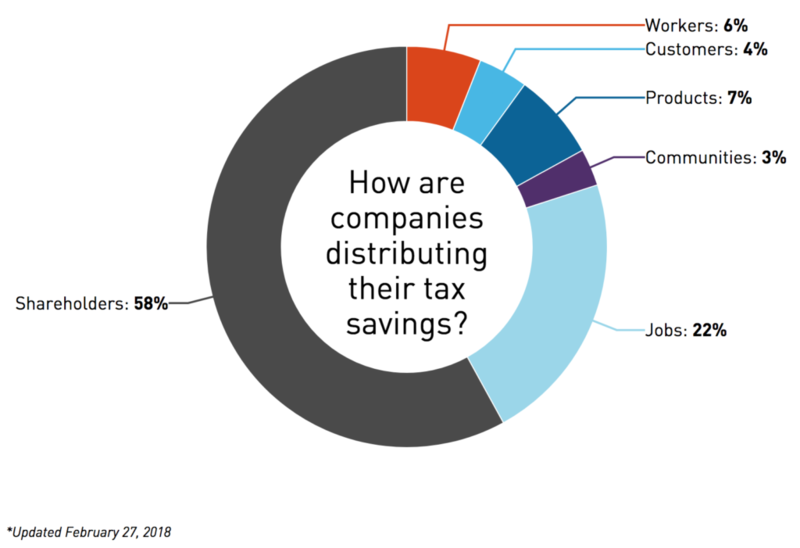 As of March 5, 2018, 109 companies in the Russell 1000 have announced how they plan to distribute their tax savings. As of February 27, 2018, 90 companies in the Russell 1000 have announced how they plan to distribute their tax savings.